Specialists around the world trust in adhesive technology from STAUF. Even though bonding floor coverings has made us big, we’ve kept our feet on the ground. As a family owned and operated business with a long tradition, we feel more than committed to our values: We live them. We down-to-earth at STAUF have deep roots in our homeland and company history. We are ambitious and not satisfied just with what we have already achieved. We keep on striving for new innovations. We always think in terms of partnerships since it is only as a team that we can master the challenges that arise every day. And we are innovative. We are always willing to make new inroads for our customers. Values that create a common bond. And we want the same thing as you: Satisfied customers. That’s why you can depend on us and our products. We are committed to our homeland and the region of Siegen where we have been growing our company solidly since it was founded in 1828. Our company was born here, has grown here and has deep roots here. The ideas that become highly beneficial products for our customers around the world emerge at our headquarters here in Wilnsdorf. We are continually striving for ambitious, new and innovative solutions for our customers. Our confidence in our ability helps us to master every difficult challenge. This ambition has distinguished our almost 190 years of existence. It is what led us from being a small glue distillery to a modern, value-based industrial enterprise. We have come a long way. But we don’t stop at success: We want to continually improve and achieve the optimum - for us and also for the ambitious projects of our customers. 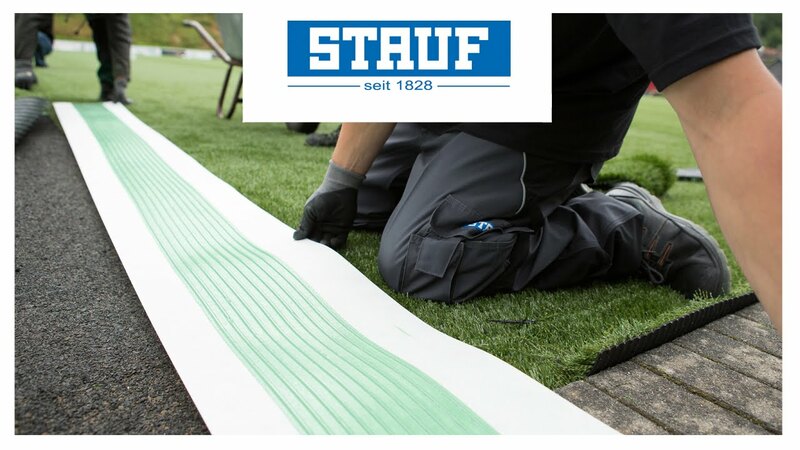 Our customers have a reliable partner on their side with STAUF. We want to act on an equal footing with them. Partner-like also describes our approach within the company. Every employee at STAUF is a specialist in his or her area. The interaction of these many competences in a partner-like way strengthen us for the daily tasks and challenges. Nothing stays the same. The world is changing. New materials are developed. Environmental conditions change. We are curious about the future and passionate about meeting new challenges. Our product development and application engineering ensures that our products and we ourselves continue to change and develop with the new challenges.